Love Love Love Polka dots. I am meaning to do a post on polkas from a week may be today. I love polka dots too! That skirt is amazing! I love it. You have great taste. I've always loved polka dots too! 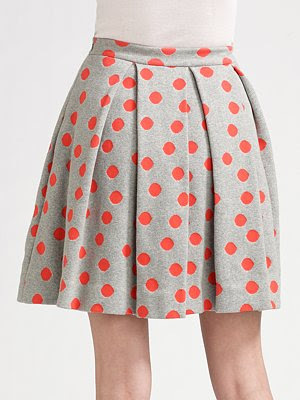 There's something so sweet about a polka dot dress to me. I adore that Nanette Lapore dress.